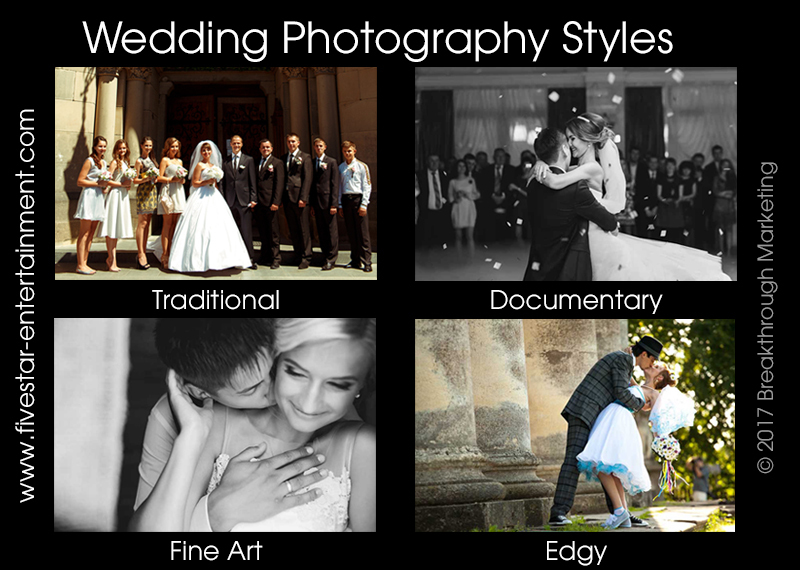 What style of wedding photography is right for you? | Five Star Ent. Think of the delightful moments you’ll want recorded forever: your entrance and the wedding vows; the cake cutting and the first dance; and the entire celebratory fervor which Five Star Entertainment helps to cultivate. Five Star Entertainment knows most of the wedding photographers around and is happy to point you in the direction of one with the style you like best. And when it comes to wedding entertainment, we have just the style you’re looking for. It’s a customizable style that plays your music and packs a dance floor!